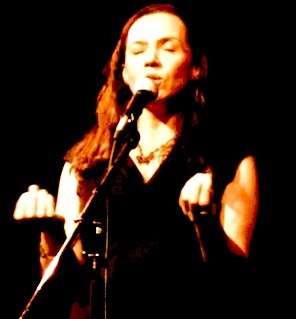 Writer and spoken word artist Andrea Thompson has performed her work at venues across North America and overseas for the past twenty years. A pioneer of Slam poetry in Canada, Thompson’s work has been featured on film, radio, and television; and included in magazines, literary journals and anthologies across the country. Thompson’s poetry is hybridist and unique – blending elements of jazz, dub, hip-hop and traditional literary verse into a style all her own. In 2009 she was awarded the Canadian Festival of Spoken Word’s Poet of Honour: For Outstanding Achievement in the Art of Spoken Word, and in 2005, her spoken word CD One, was nominated for a Canadian Urban Music Award. Thompson is the co-editor of the anthology Other Tongues: Mixed Race Women Speak Out, the author of the poetry collection Eating the Seed, and is a recent graduate of the University of Guelph’s MFA Creative Writing program. She currently teaches Spoken Word through the Ontario College of Art and Design’s Continuing Studies department. Her first novel is due out in the fall of 2014 from Inanna Publications.